October 30, 2018 - The 6.5L Turbo Diesel Volume I is jam-packed with important 6.5L diesel related articles, tech columns and product reviews that were published by The Diesel Page between 1996 and 2001 (plus a newer article on turbochargers). We've "cherry-picked" all of the very best articles written and published throughout that 5 year period, and put them into the updated for 2018 volume you see here. 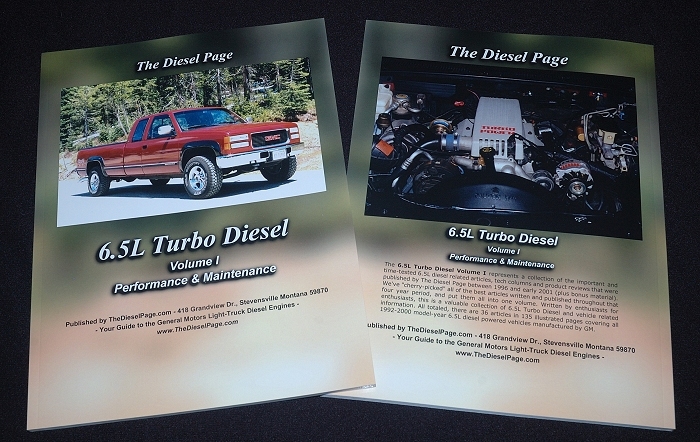 Written by enthusiasts for enthusiasts, this is a great collection of 6.5L Turbo Diesel and vehicle-related information. All totaled, there are 36 articles in this volume covering all 1992-2000 model-year 6.5L diesels manufactured by GM. Click: https://www.thedieselpage.com/65book.htm to learn more. October 30, 2018 - The GM 6.2L diesel engine has been providing owners with excellent fuel economy and routine service since the 1982 model year. 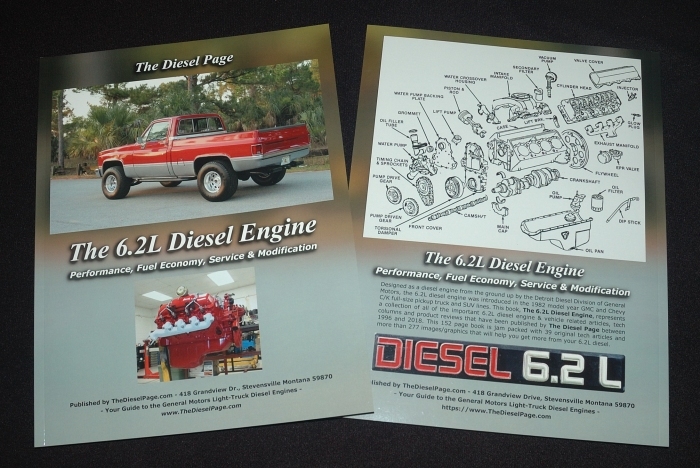 The Diesel Page has been providing continuous coverage for this engine family since early 1996, and this book, The 6.2L Diesel Engine represents a collection of all of the important 6.2L diesel engine & vehicle related articles, tech columns and product reviews that have been published by The Diesel Page between 1996 and 2018. This brand new for 2018 edition combines the former 6.2L Diesel Volumes I & II into one volume. Click: https://www.thedieselpage.com/62bookcombo.htm to learn more.